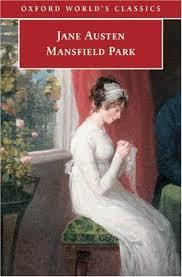 200 Years of Mansfield Park! The first sentence of Jane Austen’s Mansfield Park is nowhere near as famous as the first line of Pride and Prejudice. The heroine of Mansfield Park is nowhere near as beloved as Elizabeth Bennet. The novel is rarely chosen as anyone’s favourite Austen novel – I recently heard it described (by a Janeite who shall remain nameless!) as “my 6th favorite Austen.” But even though it doesn’t have the same kind of sparkle as Pride and Prejudice, it’s a complex, fascinating, brilliant book.